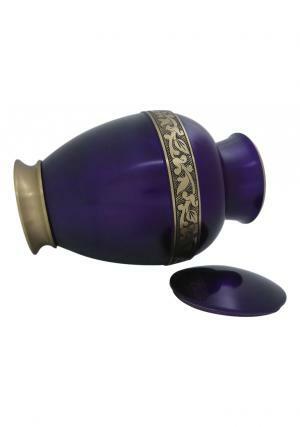 Royal Purple Floral Band Adult Urn is a quality brass made metal urn with rich texture of purple enamel on the brass metal. 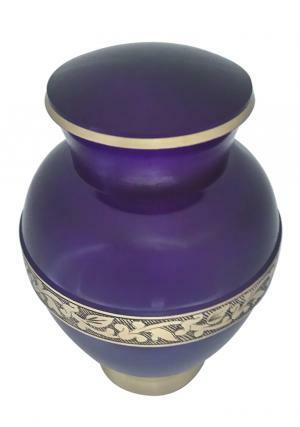 The purple urn has deep texture with smooth finish of reflection and high neck volume stretch and decorated with floral brass band creeped with leaves. 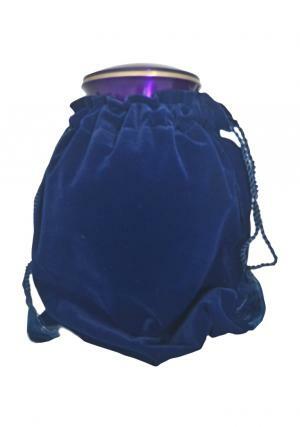 The Royal Purple Floral Band adult has a semi mounted surface with purple finish and edged with gold plating. The threaded lid has secured source of closure and easy evacuation. 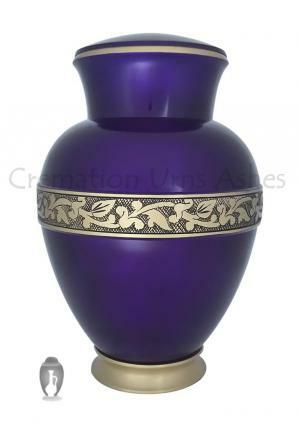 The rich purple cremation floral urn has the capacity of 200 cubic inch ashes. 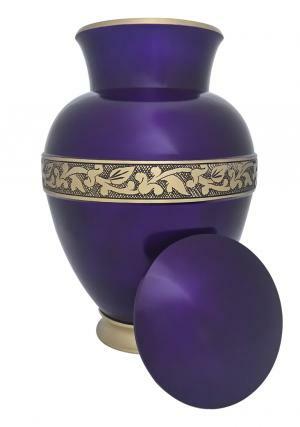 Dimensions of royal purple floral band engraved adult brass urn is 10 inch tall, 6.6 inch width and measures 2.09 kg in weight.